FELD HELL – I Love It! While crusing around the 40M band I heard a digital signal on 7.071Mhz. The signal didn’t sound familar to me so I had to flip through a bunch of modes to find that I stumbled upon a Feld Hell Net. I decided to monitor and after 10 min or so I tossed my call into the mix. The NCS (Net Control Station) was Lou (W8LEW) from MI That acknowledged me. Author NT1KPosted on September 9, 2010 November 8, 2011 Categories Digital Communications, General Ham Radio, QSOTags DIGITAL, FELD, HELLLeave a comment on FELD HELL – I Love It! 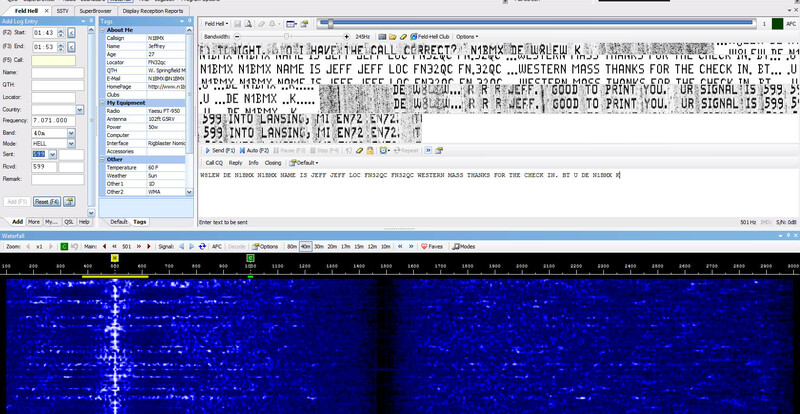 Started off the morning on 20m JT65 (14.076.00Mhz). I noticed there were people talking so I jumped in. Managed to get only two contacts with F8RZ (Jean, France) and N9GUE (Fred, US). Later on in the evening I tried WSPR. Never heard about it until this morning while exploring PSK Reporter. What’s funny is that I confused it with a local spanish speaking AM radio station WSPR. After doing some reading about it and installing the Software. I let it sit for an hour on 30M and then TX my call a couple of time. I was amazed at who heard my signal. I like this. It shows far your signal can reach. Granted the mode is designed for Long distance. I am going to try it again with only 5 watts. While messing around with WSPR I kept hearing a digital mode that I never heard before. The person sent out an RSID using Ham Radio Deluxe stating it was a Olivia signal. I made contact with VE7NBQ (Peter, VANCOUVER, BC) and Rag chew for a tiny bit. After that I wanted to exercise my lungs and do some voice contacts. I heard KH7Y (Fred, HI) with a pileup of people trying to get him. After about 10min of throwing my call I finally got him. I hope he confirms through e-qsl and/or lotw because I don’t often hear Hawaii and by the pileup of people I don’t think they do either. A new state for the hunt of WAS. I also heard HI8ROD (Rodrigo, Dominican Republic) and made contact with him quite easily. I had to take down the G5RV dipole as I was hosting a party at my house. It would have been in the way and I didn’t want the kids to be messing around with it. When I first put up the dipole I could not get my ladder high enough up so my Dipole was at an angle. Since I was tinkering around with the antenna I manage to get it much higher. I am pleased with the results. Now that my antenna is back up and had some spare time , I went on and made a lot of contacts. I also took part in the IARU Region I Field Day with only 16 contacts. On PSK I manage to get my first contact with Saudi Arabia. His call was HZ1EA (emad) and he was running QRP @ 5 Watts. Also worked Serbia for my first time with YU7AU. I also tried PSK on 30m (10.140.ooMhz) for the first time. I got work UU7JC, CO8LY and WB8TDG. WB8TDG was using RTTYM 8/500 which I never used untill tonight. Overall very good night. Now I have to learn to submit contest logs. Ever since I got licensed I always wanted to try Satellite Communications. So after looking through one of my favorite websites (HackADay.Com) I saw an article on how to build a Yagi antenna using some screws pvc pipe and aluminum arrows. This peaked my interest in Satellite communications. I’ve been aware of the commerical antennas built for this purpose and I am also aware of some of the DIY antennas. 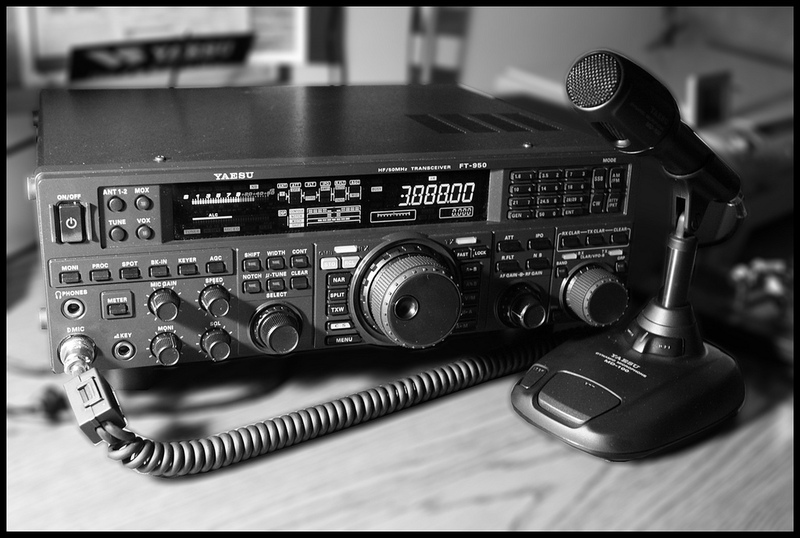 All I have for a radio is a handheld Kenwood TH-78A that I will be using and I plan on mounting the antenna on a old tripod. Hopefully I can have this built before my daughter arrives. But either way it’s going to be a fun simple project. 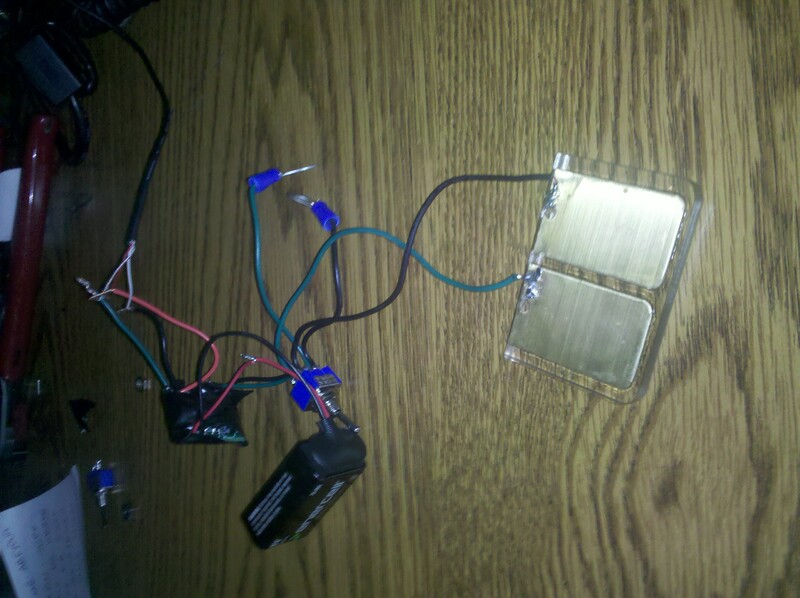 While my parts for my CW keyer are out for paint all I had to play with is the plexiglass base of the keyer. I managed to get it working and I went on 7.040.50Mhz (40m) and started sending CQ TEST. All of a sudden I hear “-. .—- -… — -..- -.. . -.- -… —.. ..-. . (N1BMX DE KB8FE)” I was happy because instead of using software to decode morse I did it by pen and paper. He was sending slow enough for me to understand even though I was sending much faster and messing up a lot. His call is KB8FE (Keith, OH). He asked me about my station and then told me to keep practicing CW. So I am please to make a contact and it makes me want to master CW now. I’ve been noticing that I have been practicing CW more than I have been doing any other mode. Author NT1KPosted on August 15, 2010 November 8, 2011 Categories Uncategorized1 Comment on First CW Contact. CW Project: It’s ALIVE… ALIVE! Author NT1KPosted on August 13, 2010 November 8, 2011 Categories UncategorizedLeave a comment on CW Project: It’s ALIVE… ALIVE! I just had to update. Got around to doing some more fabricating. I laser cut the base, insert and plexiglass. The 1/8″ insert combined with the 1/4″ Plexiglass will make the glass sit flush on the 3/8″ steel base. I need to make the paddle contacts and the cover to complete fabrication. Can’t wait to test it out and powder coat it. I decided to do some digital work tonight. I started off on 20m (14.070.00Mhz) with some PSK 31. I’ve managed to contact KE5PYF (David) and IV3GOW (Ervin, Italy) at about 21:30 the band started to die and I decided to go to 40m (7.035.00). PSK on that freqency was packed! Lots of people working. I managed to work on PSK63 CO3CJ (Juan, Cuba), M3XGV/P (Mike, England), PY2CX (Mauricio, Sao Paulo Brazil), WA3SMN (Ben, PA) and LU1BR (Luis, Argentina). I tried to make contact and exchanged with SE6Y (Rolf, Sweden). I Hope I did because I never made a contact with Sweden. After a bunch of CQ’s with PSK63 with No luck I called it quits for the night. The band was still busy and their were a lot of PSK31 Activity. I just didn’t want to take part. PSk63 is great for fast quick contacts, However its hard to make out when there is QRM.